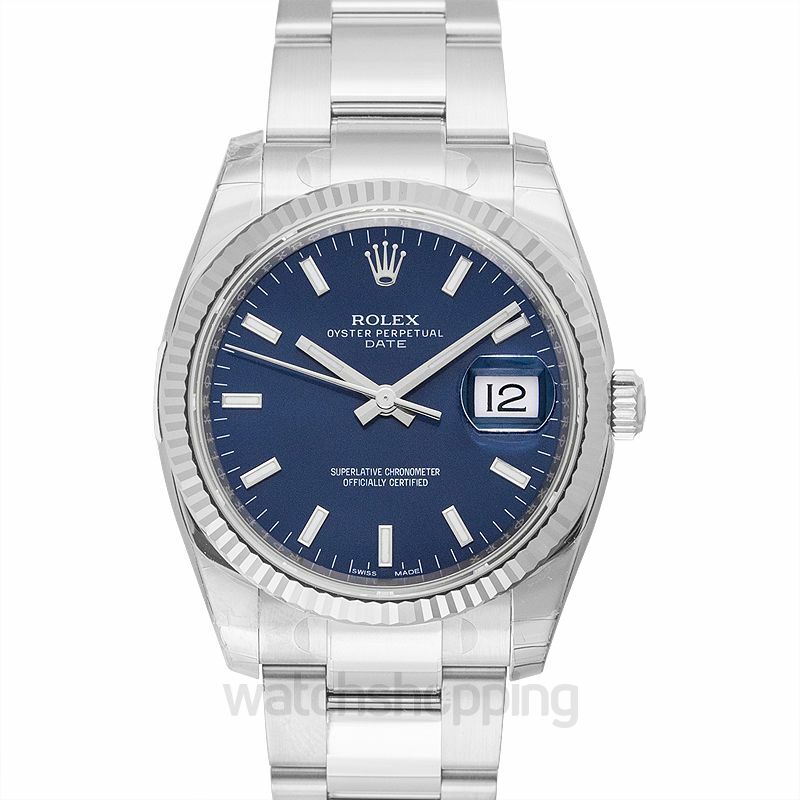 The Rolex 115234- 0004 comes with a stainless steel case made from oyster steel and 18ct white gold. The model is unique and classy. 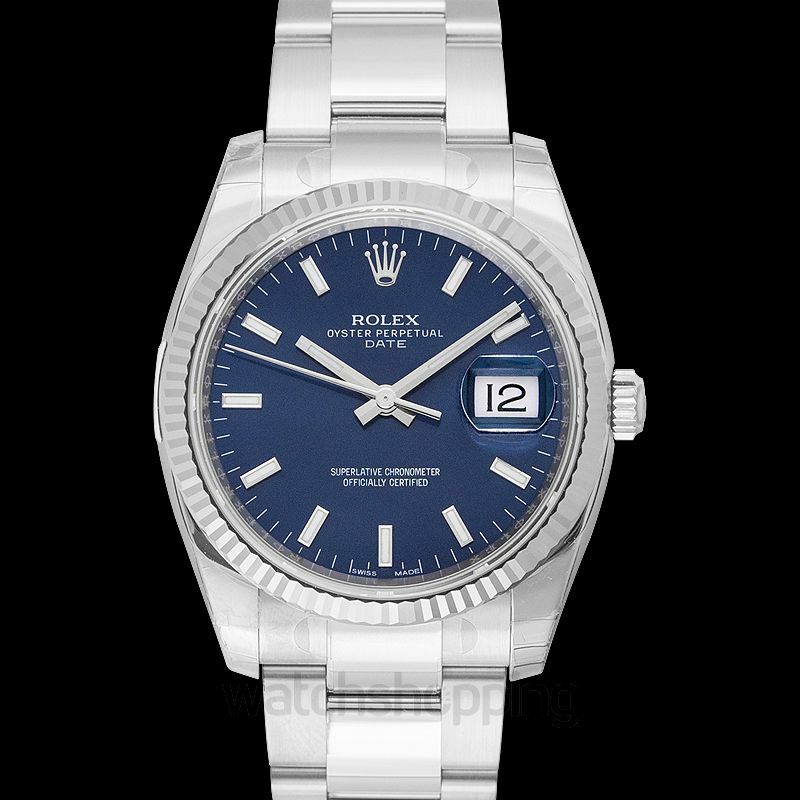 It has a modern blue dial with a Cyclops lens covering the date. With caliber 3135 chronometer, the watch is classified as highly-précised. It also has an ample 48-hour power reserve. The watch can bear variations in temperature and is resistant to shocks. The buckle is made of an easy folding oyster clasp.